What a fantastic year for Team GB in the Worlds! 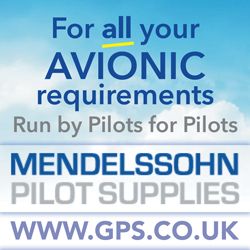 If you would like to find out what lay behind the success stories, or to learn how to fly faster and further yourself, make sure you read the Oct/Nov issue of S&G. There is also aprofile of Andy Davis, and an account of how history was made with the first Irish 500km. 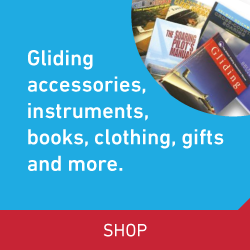 With both flapped and unflapped British gliding teams winning the coveted Gold medal in this year’s Worlds – not to mention a further Gold, Silver and Bronze – team captain Shaun Lapworth looks at the secret of success. He reflects on flying as a team, or set of teams within a team, and how the successful pairings in each class worked together to pull off the double. The Jones brothers became world champions in Finland, having dominated the 20m Class throughout. Lemmy Tanner, crew for G Dale, reports from Räyskälä, where the rain didn’t dampen the enthusiasm for a successful competition. Andy Davis is this year’s UK Open and 18m champion and he also brought home a Silver medal from the Leszno Worlds. 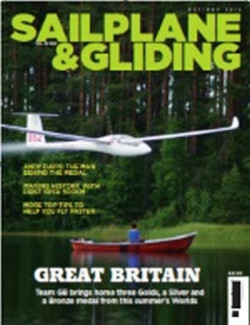 In this issue, there is a pilot profile on Andy, who has been winning gliding competitions since the age of 21. If you’d like to improve your own performance, see part 2 of the Ask the Coach feature Learning How to Go Faster. Leading coaches Kevin Atkinson and Bernard Eckey discuss speed-to-fly techniques with Tony Cronshaw, with some very useful tips for up-and-coming cross-country pilots. Kevin Houlihan was delighted to have ticked a very elusive box – Ireland’s first 500km – on his 60th birthday. On 22 June, he flew his DG-808C around Irish skies for seven hours and 37 minutes to achieve Ireland’s first soaring flight of over 500km. A great birthday present – and Kevin was home in time for a restaurant reservation! Also in this issue: Tim Scorer takes a look at accident witnesses, from what your immediate response should be, to how to help investigators. There’s a tale from Down Under, as ex-London GC member Mark Dalton recounts his experience of landing out in a newly-planted cornfield. Junior pilots reflect on ‘competing with the grown-ups’ in this year’s Club Class Nationals. Pete Stratten has advice on how to keep your flight instructor certificate valid. Justin Butler shares the story of his gliding development so far, culminating in his first 50km cross-country. Ken Barker reflects on the unconventional, but rewarding, concept of flying freedom at Competition Enterprise. Development Officer Alison Randle talks to the chairmen of three clubs who are experiencing growth. Bruce Stephenson reports on vintage events. There are two Salutary Tales: a potentially fatal winch launch incident and baling out after a mid-air collision. Plus, there are many more of your stunning images in the Gallery pages. Juniors accounted for almost 40 per cent of this year’s Club Class entries. What was it like to face world-class pilots in a competitive UK senior nationals? When it's time to bale out.